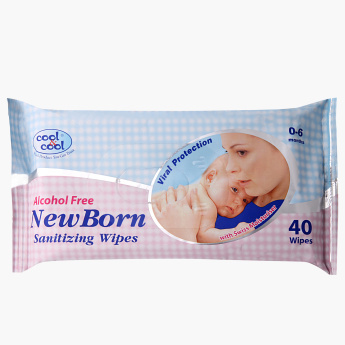 Cool & Cool New Born Sanitizing Wipes - Set of 40 | Multicolour | Alcohol Free. A convenient buy to use on your baby without worry, this set of forty wipes is a smart choice. It is enriched with a moisturising formula and is gentle and soft on the skin. Feature 2 : Enriched with moisturizing formula. Feature 1 : Alcohol Free. 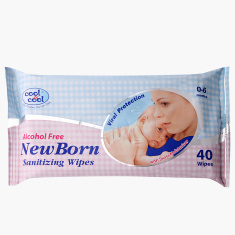 Feature 3 : Ultra soft and gentle to baby delicate skin.